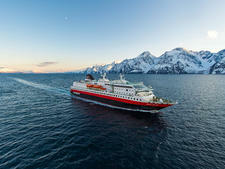 MS Midnatsol isn't your average cruise ship. From November through to March, it's an adventure cruise ship, sailing passengers from southern Argentina to Antarctica on expedition voyages. 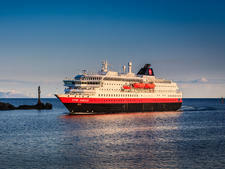 Come spring it returns to Europe -- first with Explorer sailings around Portugal and Spain and then back to its homeland of Norway, running the Bergen to Kirkenes round trip coastal route May through to September where it stops at 34 ports along the way. 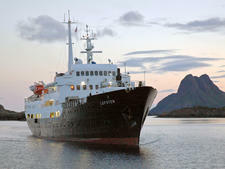 This 970-berth vessel Midnatsol (Norwegian for 'midnight sun') is remarkably adaptable: When in Antarctica it carries just 500 passengers and uses the extra space (including its car deck) to accommodate expedition equipment such as Zodiac boats, as well as the kayaks, paddles, poles, snow shoes, etc. needed to explore this vast, white wilderness. Wherever it sails there's always a dedicated Expedition Team on hand. In Antarctica that team consists of wildlife, geology and climate change experts. 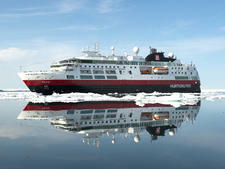 In the Arctic it's slightly different, with the team leading passengers on expedition hikes instead. 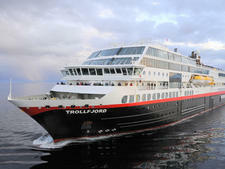 Built in 2003, Midnatsol is the sister ship of Trollfjord, designed in the function-over-frills style that's expected of expedition ships. Despite a refurbishment being planned for 2021, many of the public areas (the atrium, lounges and amphitheatre where lectures are held) still sparkle as if new and are an appealing place to spend time after a busy day hiking an icy mountain or kayaking the glassy waters of a fjord. Especially divine are the top decks' two outdoor Jacuzzis -- a perfect spot to enjoy the scenery come rain, snow or shine. 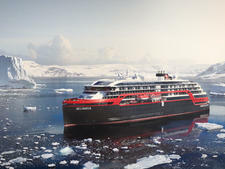 The ship is designed for viewing, and there are plenty of comfortable places in the public areas to take in the breathtaking views, be it the glaciers and icebergs of Antarctica or Norway's 1,250 miles of dramatic coastline. Indeed, just about everywhere on the ship comes with a view, including the sauna and gym. Food onboard is exceptional. In Antarctica most meals are buffet-style, with the occasional waiter-served dinner. In Norway whilst breakfast is always a buffet, lunch and dinner are more frequently waiter-served set menus. Be warned: Price of alcohol differs depending on what part of the world Midnatsol is sailing in. In Antarctica wine and beer are competitively priced; in Norway the cost of an alcoholic drink will make your eyes water. What's unusual is that Midnatsol stops several times each day -- once for an extended stay, but more frequently for just 15 minutes or a half-hour. This is to allow passengers and cargo to offload, and cruisers who want to can dash round pint-sized fishing villages before hopping back onboard. Overall, if you're after a unique, adventurous cruising experience -- whether that's at the top or the bottom of the world -- and enjoy being active in nature, then an expedition cruise on MS Midnatsol is the ideal choice. 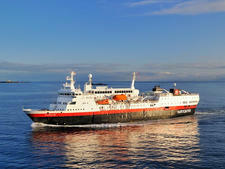 Passengers on Midnatsol like to be active during the day and go to bed early at night. The average age is 48-plus in Antarctica and 55-plus in Norway, although this is skewed during the school holidays when there are plenty of families onboard too. Children under the age of 5 aren't allowed to travel to Antarctica, and it's at the captain's discretion whether children under the age of 12 will be allowed to participate in the Antarctic landings. Whilst there is no age restriction in Norway and no minimum age for the hikes, most of them are classed as 'level four' (requiring a good standard of fitness) and last between 1.5 and four hours, so they're probably not suited to the under 10s. The same goes for the lectures, which, though not designed for youngsters, might still be of interest to older children and teenagers. The majority of passengers are English- or German-speaking, but the clientele is an international mix wherever Midnatsol is sailing, with the largest proportion of cruisers hailing from America, Britain, Australia, Germany and France on Expedition cruises. 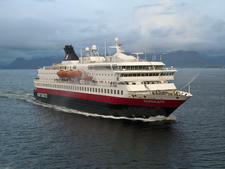 Whilst sailing in Norway, however, more than half of Midnatsol's passengers are German, with the remainder hailing largely from Britain, the U.S., Sweden, Norway, France, Japan and the Philippines. 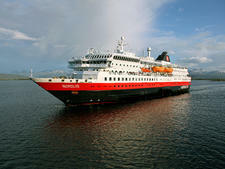 Norwegian and English are the official onboard languages. The majority of lectures are held in English and German, and when sailing in Antarctica there are also lectures in other languages held at different times. 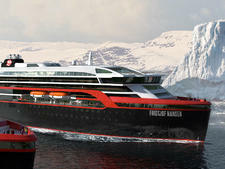 The majority of passengers book expedition voyages of around 12 nights in Antarctica and six or 12 nights in Norway, depending on whether they choose to travel one-way or return on the six-night north- or southbound coastal sailings. 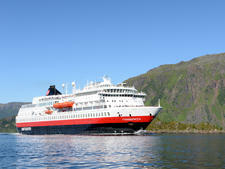 There are plenty of Norwegians, however, who use this ship as a day or overnight ferry service during the May to September season. This makes for an interesting atmosphere onboard as the ship cruises the show-stopping Norwegian fjords and rugged Arctic. Instead of adversely affecting the experience for those cruising, it adds something extra -- a rare glimpse into the lives of those living in more remote coastal communities in the north of the country. This is a relaxed, informal ship, with little or no dressing up. The dress code is very casual, and the key is to be comfortable for hiking and exploring. No need to bring your own hiking boots for Antarctica as all passengers are required to wear the ship's own rubber boots for landings, and everyone also receives a free, waterproof expedition jacket. Sun protection (for skin and eyes) is essential, as are some waterproof trousers, thermals and lots of woollen layers. Summer in Norway is usually T-shirt weather, but bring layers -- the onboard shop sells high-quality knitwear, if you haven't packed enough -- as weather can be changeable in Antarctica and Norway. In Bergen it rains one out of every four days. The basic fare includes all meals -- breakfast, lunch and dinner-- taken in the main dining room on Deck 5. It also includes sparkling and still water at lunch/dinner, but no other soft drinks, except for juice, tea and coffee at breakfast. Tap water in cabins is drinkable too. In the Antarctica and Portugal expedition sailings, tea and coffee are available for free from Deck 5's Bistro throughout the day, as well as from the bars on Decks 8 and 9. Additionally, a light tea (soups and cakes) is served in Deck 8's bar from 3–5pm, but only on the above expedition sailings. The sauna, hot tubs, fitness room and expedition lectures are all free, but that's about it for inclusions. 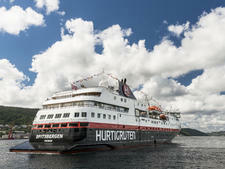 There's a fee for Wi-Fi access and the self-service laundry (on Deck 4). Drinks packages are available in Norway, but these are only worthwhile if you get through at least a bottle of wine a night. 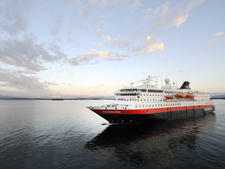 The currency used onboard is the Norwegian krone, but other cash currencies are accepted, including the U.S. dollars ($), pounds (£/GBP), euros and the Danish and Swedish krones. Visa, American Express, Mastercard and Diners Card are all accepted onboard, and you can also get a cruise card to pay for extras and settle the bill at the end of the voyage. 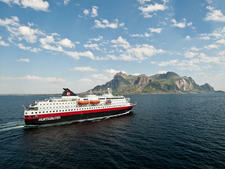 On Norwegian coastal voyages, MS Midnatsol also offers Select and Platinum fares which come with additional benefits. Select fare passengers are able to choose their cabin number (on voyages longer than seven days) and get complimentary Wi-Fi and tea and coffee. Platinum fare passengers also benefit from included a la carte dining, a drinks package, a welcome basket, some shore excursions and private transfers.